Are You Within 5-10 Years of Retirement? Retirement is complex. We help make it simple. Most people are not financial or investment experts that’s ok- that’s our job. We speak in plain English so you’ll know what financial decisions will mean for your retirement. We adhere to the fiduciary standard by putting your interests first. Our fees for investment management and financial planning are transparent; we receive no hidden fees. Period. We don’t lecture or preach. Our main focus is providing you with solutions. SimpliFi employs a team approach designed to assure continuity of service to our clients. Our firm is structured so that someone will always be available to you now and through every stage of your life in the future. A series of posts and tidbits designed to give you simple ways to make the most of your finances. It’s all part of our ongoing mission to help you reach your retirement goals. Simple answers to common questions. We estimate how long your retirement assets will last based a number of factors including age, risk profile, lifestyle needs, investment growth and rates of withdrawals. As you near retirement, you need to have a clear understanding of when, how and if you can retire and an easy-to-understand plan to get you there. We walk you through an easy-to-follow retirement transition process, provide ongoing management and help you plan withdrawals over the duration of your investments. We understand that every family is unique and may have complicated scenarios that affect their spending and finances. We are equipped to handle the complexity of individual and family situations—children, health, marriage, divorce, death— that affect financial decisions. We help streamline sophisticated investment plans. To get started on the road to your retirement, download our free guide called Top 10 Tips to SimpliFi your retirement. Want to receive “Top 10 Tips to SimpliFi Your Retirement?” Fill out the form below and we’ll send them to you. We will keep your email address secure and will never share it with any third party. We’ll assess your current financial situation and needs, as well as the many options for retirement income available to you including your 401(k), pension, and IRA. We’ll help you develop a strategy with an objective of stable income and support for your lifestyle through retirement. Retirement income planning will help you enjoy life after you’ve stopped working so that you don’t have to pinch pennies or feel financially insecure. 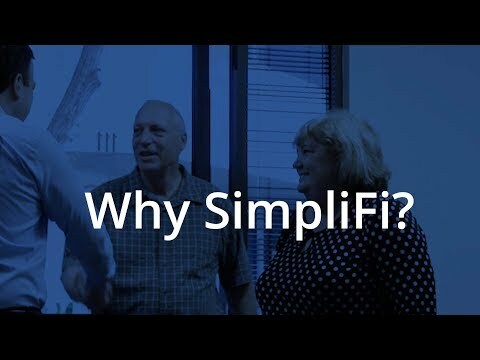 With SimpliFi, you’re not in it alone. Our team will walk you through every step as we create a comprehensive and effective action plan in preparation for transition into retirement. At SimpliFi, we aim to make a difference, not just with our clients but in our community at large. We care about much more than just creating wealth. For us, true wealth is about more than just money; it’s about giving back. We believe that a community that works together toward creating opportunity and security is a successful one. It’s important to us that we make a positive contribution where needs exist, and with causes we hold close to our hearts.